Social intranet software solves many common problems within an organization. A well-designed intranet can streamline processes and generate efficiencies, which is why so many of today's biggest and most successful businesses are incorporating them into the workday. Since a company intranet often contains sensitive information and documents, security is vital. Even if your intranet operates on a private network, your information is still vulnerable to both external and internal attacks. By working with a vendor that provides the highest levels of security, you can safeguard your organizational and client information. 2. The ability to find things quickly. Your staff must be able find information quickly and easily. Social intranet software that's poorly designed or crammed with untagged files can be a like a cluttered supply closet. Keep your company intranet neat by tagging and organizing documents in a way that makes sense to your staff. Your intranet search engine must be able to find the content and resources that your employees need. Also, make your navigation intuitive so that users can access information with a few simple clicks. More about intranet navigation in #5. An intranet can only be effective if it is reliable. Slow speeds, instability, and outages will undercut your intranet's performance and frustrate your staff. Many organizations allow these issues to fester for months or even years, alienating staff from the very tool that's designed to empower them. As with security, the reliability of your intranet will depend on the quality of your software vendor. The right vendor will go to great lengths to prevent downtime or slow speeds ... and they won't charge you extra in the process. After all, what good is an intranet that is just as likely to go down as it is to stay operational? 4. Fresh and valuable content. While your intranet should always contain reference information that your employees need to do their jobs, you'll also need to add fresh content to keep your users engaged. A stale social intranet won't function at peak performance. Just as you need to clean out the office refrigerator, you should remove outdated files on a regular basis. Managers and CEOs should encourage their staff to create new, useful content and to keep the conversation flowing so that your intranet remains relevant. Navigation often becomes a challenge for companies trying to leverage their social intranets. When navigation is neglected, getting from one part of the intranet to another becomes nearly impossible for employees. This is a major problem because they need fast access to different sectors at all times. To improve your intranet navigation, make sure things are clean and clear. This task typically coincides with the design process, so if you go with a platform that has been crafted by a reputable vendor, navigation will seldom present problems. Even if you decide to design your intranet in-house, tweak your navigational properties to increase usability. 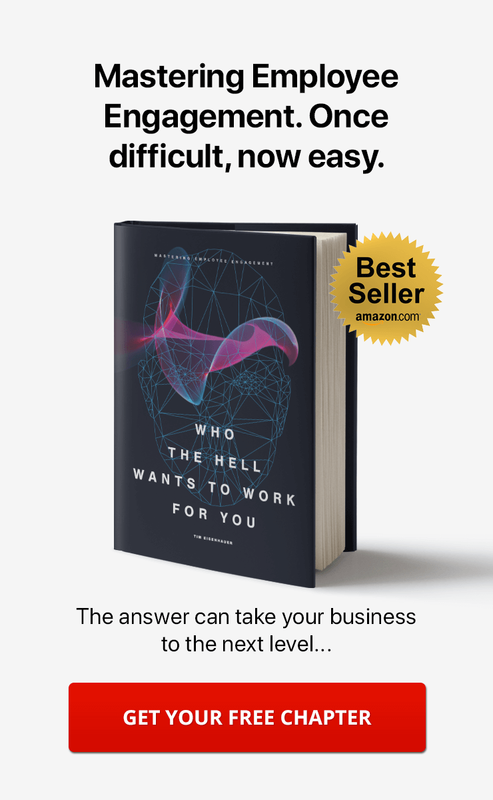 Whenever you introduce a new technology into your organization, it's important to remember that employees will vary in their willingness and ability to embrace change. More often than not, people will have no problem making the switch to social intranet software, as the principles inherent in most of today's intranets mirror those found in popular social networks. Still, it's essential that users have access to support should they run into any problems, and this remains one of the biggest hurdles for companies looking to streamline their social intranets. Intranet user support can be provided in a number of different ways. Training materials should be available via the intranet, as they can easily be recalled if someone has a quick question. For more complex inquires, members should be able to contact administrators or managers via messaging, email, or telephone. 7. Multiple spaces for multiple teams. A social intranet is its own community and should be celebrated as such ... but just about any intranet, no matter how large or small, will be characterized by a number of different groups and teams. When teams attempt to manage complex projects right next to each other in the same space, confusion can occur, leading to "information overlap." Instead of having each team in your organization work alongside each other in a single part of the community, consider creating online workspaces for each group. Each space should contain the discussions, files, documents, and other elements that are relevant to a specific department or team, so that staff are presented only with the information that pertains to them. Since you can create an unlimited amount of spaces within your community, there's no limit to what you can accomplish by utilizing this powerful feature. 8. Important content remains visible. Certain files or documents in your intranet are more important than others. Community members call upon this content to answer questions they may have or to assist with carrying out daily business processes, so keep it within reach for best results. Unfortunately, important intranet content often gets lost or buried under newer content. Social intranet software typically allows you to place specific pieces of content to the top of the community so that people can quickly access them each time they log in. Important content should always be prioritized, and fresh content (remember #4) should be added without hiding the key information your team consistently needs to access. Social intranet software ranks among the most high-tech application types available. However, not all social intranet software is created equal, and some of the lesser-quality options on the market can be riddled with bugs. New updates can cause issues when not properly tested, and it becomes clear just how problematic software bugs can be when attempting to keep your intranet fully functional. In most cases, the best way to avoid software bugs is to select a reputable vendor known for issue-free products. Bugs that are discovered during or after updates should always be reported to the administrator in a timely fashion so that they don't proliferate. As we've said, your employees aren't likely to encounter too many issues when getting used to a new social intranet software solution. At the same time, you're still likely to run into problems if you don't train everyone sufficiently. No matter how skilled and quick your staff may be, a lack of initial training will prevent them from getting the most out of your intranet ... and from learning tips and tricks that increase productivity. Many managers and CEOs argue they're too busy to train employees how to properly navigate the social intranet, but intranet training sessions can actually save time by reducing the number of help requests from staff. You can conduct a training session either in person or via the social intranet itself, and it doesn't have to be extremely robust or complex to be effective. As long as you discuss the basics, you should be fine. 11. Correct permissions are set. Every community needs one or more officials who can govern activities, and the same can be said for a social intranet. Without a referee, things could get chaotic, as every community member would have equal power in conducting daily activities. The solution is to set permissions. Setting permissions allows you to manage who is contributing to the social community and in what ways, something that can make a huge difference when your community begins to grow. You can set permissions so that certain staff members are allowed to create and post content, while others are only authorized to view it. When you take the time to set proper permissions, governing your intranet becomes far easier. 12. Having a dedicated administrator. Anyone who has ever served as an intranet administrator knows that it can be a full-time job, especially if your intranet is packed with content and community members. Surprisingly, it's common for a company intranet to run without the direction of a truly dedicated administrator, however the problems that can result from this arrangement could cause you big problems in the future as your intranet grows. All too often, staff members share administration responsibilities or try to fit them into empty spots in their schedules. This approach completely underestimates the need for a dedicated administrator, who puts out digital fires and keeps the intranet performing without issue. Forward-thinking companies will hire a dedicated intranet administrator, even if it means spending a little more money. We wrote a blog post that you can take a look at that goes much deeper into the topic of intranet moderation and administration. It's important to create and upload intranet content on a regular basis, but above all, that content must be relevant. If it isn't meaningful to you and your staff, it's not worth uploading. When determining which types of content should be used to outfit your social intranet, think about what actually matters to your staff, in terms of both subject matter and media type (photos, videos, blogs, etc.). Come up with an intranet content strategy that will best serve your community, and remember that timeliness is key to relevance. 14. Meet the needs of the organization. 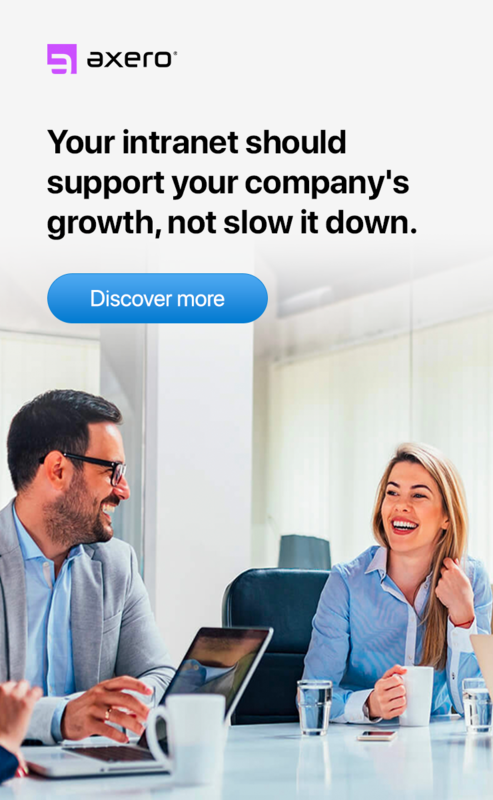 When implementing social intranet software, a manager or CEO is most often looking to meet a few pressing needs, such as cutting costs or increasing productivity. The right intranet solution can indeed help here. However, before you roll out your intranet, you'll first need to establish your intranet objectives and the types of metrics for measuring the effectiveness and the changes you want to achieve. You can then monitor your intranet to identify trends and to determine your progress. Even the most well-designed, diligently maintained intranet can suffer from a lack of employee adoption. There will always be a handful of employees who rebel against using the social intranet. They may prefer to work offline, or perhaps they don't feel as if the intranet is necessary to their role. Whatever the reason, no manager, CEO, or administrator can afford to simply sit back and watch as adoption rates fall. Give your staff incentives to log into the social intranet every day. Use some form of intranet gamification, or simply demonstrate just how much the intranet can help streamline their daily workflow. By taking time to promote and help people see the value in your social intranet, you'll increase adoption among employees. 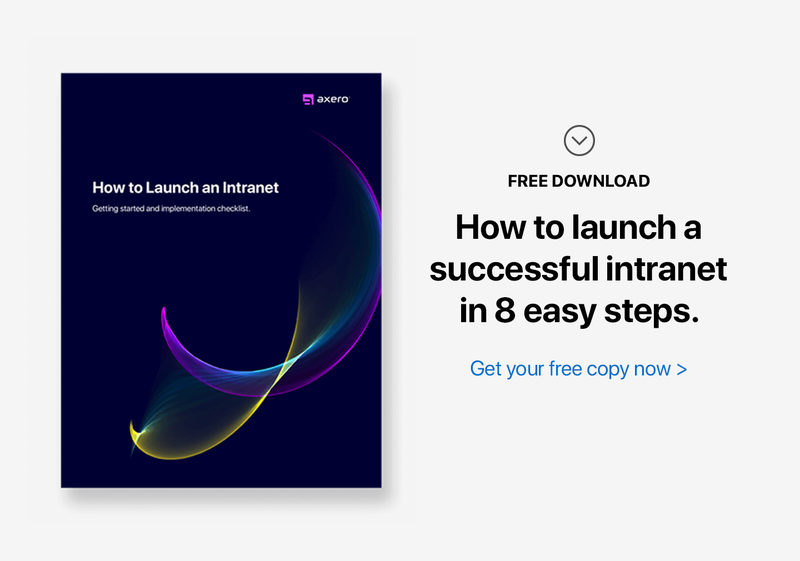 No intranet is completely problem-free, but with some planning, preventive maintenance and the intranet best practices mentioned above, you can avoid major issues. Give your social intranet the love it needs, and it will love you back with increased productivity and profit.